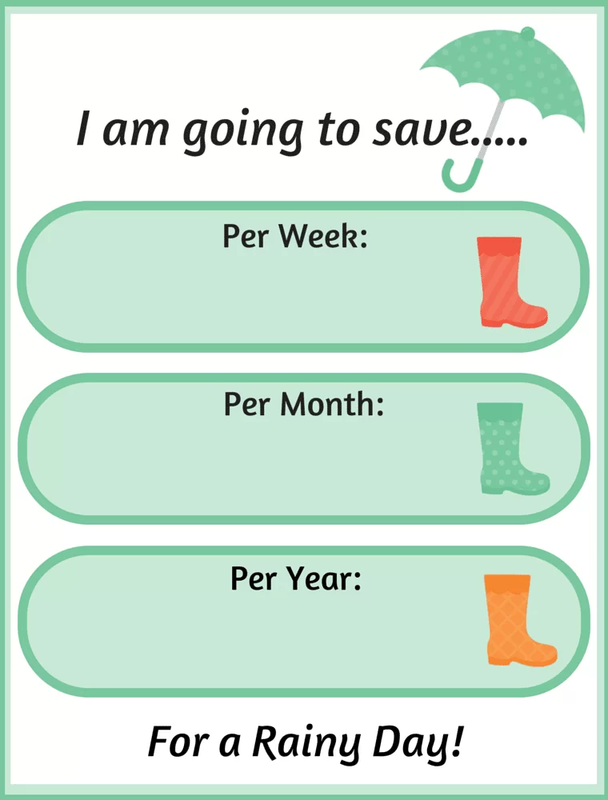 Monthly Saving Challenge Printables are a great way to learn how to save and teach kids on having goals! While this printable is from 2015, the savings is the same here in the upcoming new year. Download this FREE Monthly Savings Challenge and get on the path to the ultimate success a little at a time. The first money savings printable one is about getting into a monthly savings habit. You can accumulate $1050 this year in 2015 just by starting small and working your way through the year, then saving a little less as you work your way through the holiday season. Like all of you, I cannot believe its a new year. Every year when we switch over to January I feel hopeful. Hopeful of what is to come, thankful that its a new beginning, and excited to create new memories! And one of the promises I made myself last year after purchasing a new home and being just year into not one but two new car payments, was that I would focus more on saving money, reducing debt and reusing what I have. If anyone is guilty of out with the old in with the new, it is me. I had finally gotten to a comfortable place with savings and debt when so many things changed for me. I gave up my car that was free of a payment for my grandmother, putting me into a second car note. I moved houses to keep my daughter from entering a crime filled middle school, costing me a down payment on a new house and balancing two mortgages when my old place didnt sell and the expenses have piled up. Even so, I am grateful! I have a roof (HA, TWO!) over my head, I can pick my kids up from school and there is enough food on my table every night. But in a lot of ways I also set myself back to almost 5 years ago in terms of finances and between you and I, I have no plans to work till I am 90. So its time to get busy on the new year! All you have to do is hit them for a PDF to download. The second printable is a weekly, monthly and yearly goal sheet. Personally sometimes seeing the goal on a piece of paper can really help me focus! This is also great for your kids. I created this in 2 fun color palettes! 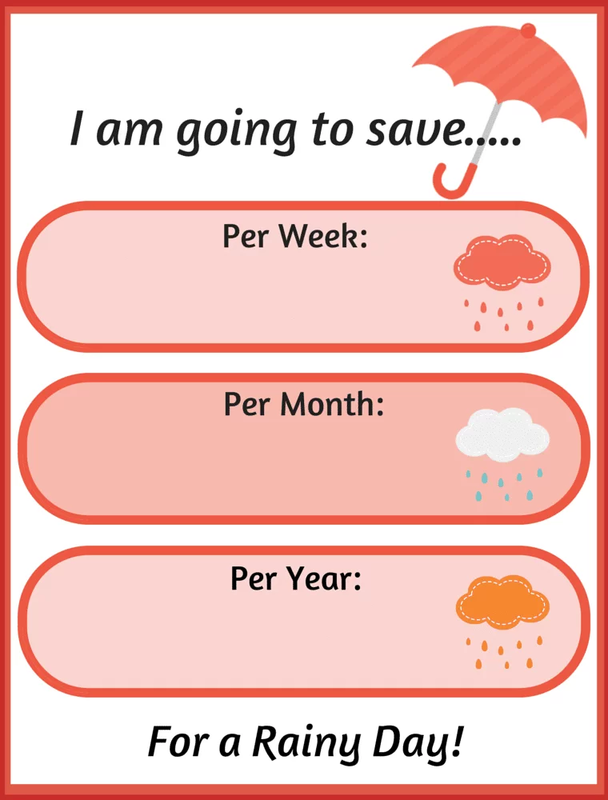 Of course these printables are just simple rainy day fund printables. When it comes to really putting away money you will need a longer term plan and other ways to incorporate getting the best out of your money. Remember its never too early, nor too late, to get on the path to financial success and 2018 is a great time to do so! Keep in touch with me and tell me all the ways you love to save (and to spend!) over on my Facebook page here. Looking for a better plan? Do not forget to download the 52 week money challenge for kids and the 52 week money challenge for teens here. These are great goals! I like that it goes down again at the end of the year when money gets tight again. My husband and I have recently started putting money into savings. Therefore, I can definitely put these printables to good use! Yay for printables! I printed a money saving challenge and started saving since the beginning of January! So far so good! For me, writing down my goals or “plan” help me make it real and more of a commitment. These are great! This is a great way to set goals for your spending. Writing it down is a great help to me. I will have to print off some of these great printables. These are great printables! Keeping track on what you’re saving and spending is super important! Love it! I love these printables! Anything to make saving easier is good for me! 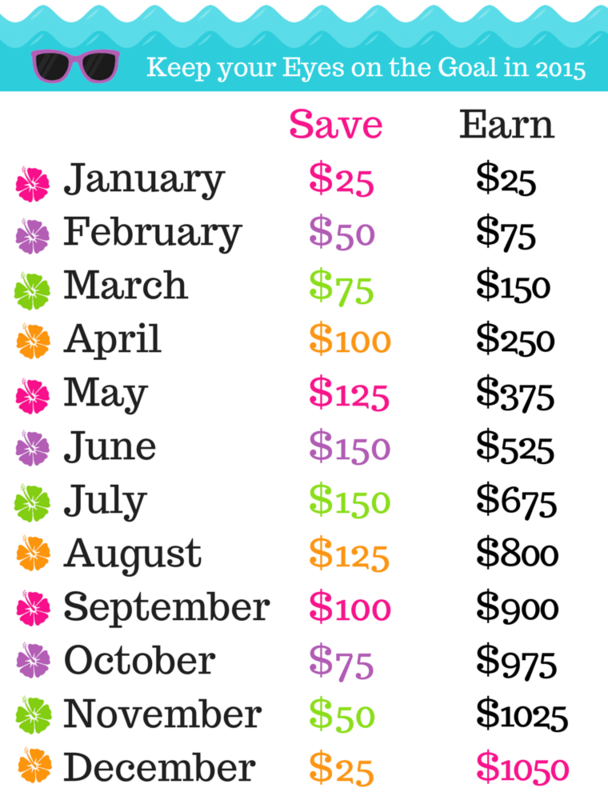 What great printables to help with monthly savings. I’m really concentrating more on savings this year. Thanks for this. I definitely need to stay on track with saving. These are amazing printables, thank you so much for sharing them. We’re trying to stick with our monthly budget this year, so far so good. I think I need to start the monthly challenge and save that way because i am paying off my debt but not saving anything which isnt awesome. Me and my cousin are doing this monthly challenge! Hope I can follow through it! This is great tips too to saving monthly. Thanks for printables I’d love to print it. I love the saving challenge! It’s definitely do-able, and you’ll build up a rainy day fund fast! These printables are so great! I have been wanting to try this savings challenge and may do so this year. These are so pretty and I love the arc in the saving challenge! I’ve always wanted to try one of these savings challenges! They look so fun! And of course the big chunk of cash at the end would be great! I’ll definitely be giving this a try! These are awesome! I am always looking for way to remind myself to save! I think I will print these off and put them in my planner! Thank you for sharing them. I was having a conversation with my wife about this today on our lunch date.. it is time to start saving a little more. For some reason, printables make everything seem so much easier..and more organized! These are really nice. I might actually print some of these out. I’ve been doing really well with saving money for the past few months. My husband and I are saving up to get a house, so I’ve been saving as much as possible. Thanks so much for sharing these! I can tell you, I need all the help I can get when it comes to saving! Cool! Thanks for sharing – so handy. These would be great to set up a savings plan for my daughter. I am a huge advocate in starting financial literacy early. Thanks! I would love to save more money, this actually seems like a very reasonable way to do it. Rainy day funds are super important. Great printables! Would really help my family stay on task with saving.